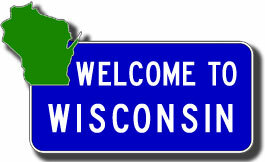 Welcome to the Wisconsin Highways website, a personal creation of one person and dedicated to the past, present and future of the Wisconsin State Trunk Highway system as well as other highways and routes throughout the Badger State. 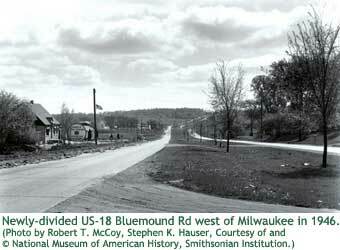 This website is intended to be a clearinghouse of information on Wisconsin's highways, from easily-recognized facts to the little-known trivia. It is also meant to change as the state trunk highway system changes. A major part of this website are the Highway Listings which contain information on every state trunk highway in Wisconsin, as well as some other non-state-maintained routes. The timeframe covered by this site is generally from 1917—the year the first trunk highways were assigned their route numbers—to present. During late-2004 and into 2005, this website was completely reorganized and redesigned and moved to its own URL. Online since June of 1997, all of the content from the previous site location was migrated here and many new features and articles were added. The navigation tools provided, including the menus found at left, should help you navigate through the website. Unfortunately, the site sat somewhat static over the past few years, however a complete site overhaul and refresh is currently underway—many of the pages on the site have been refreshed during 2016 with more updates planned for the near future. As always, visitor feedback, comments, corrections and suggestions are eagerly accepted, including comments on the recent site redesign. Follow the various links under the About This Site menu at left for more on how to provide your welcomed feedback. Copyright © 1997-2016 Christopher J. Bessert. All Rights Reserved. | chris.bessert@gmail.com | Last updated Tuesday, October 11, 2016.